After four winters of hard labor, Hoss's familiar old brown hoodie was retired. Early last spring, we bought a new one for both of us at end of season sales. They were promptly zipped up in a space bag and put into storage. When we went back to Syracuse last month for our twice annual doc appointments, we swapped our summer clothes for winter ones and the hoodies were hung on our respective hooks in a corner of the sleeper. A week or so later, on a rather chilly night, Hoss prepared to fuel the truck. He pulled on his new green hoodie, zipped it up, and proceeded to complain that it had shrunk in the wash. I sympathized while he pulled and stretched and forced the damned thing to return to its purchased size - a ritual that was repeated 3 or 4 times in the next couple of weeks. Today, we decided to walk to a nearby Denny's for breakfast. The weather was very damp and breezy, so I took my wonderful brand new maroon hoodie down from my hook and pulled it on. It felt ... kinda large. I've lost ten or twelve pounds recently, and my favorite capris and jeans are now too big. Hrm. Maybe I'd decided to buy it a size up so I could layer underneath it? As we wrapped up breakfast, I gathered my things and glanced at the size tag. 3XLT. What? "Why did we buy me a 3XLT hoodie?" I murmured aloud. 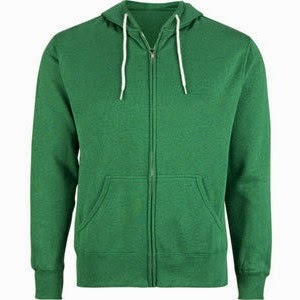 Hoss momentarily froze, then grabbed his green hoodie and looked at the tag. "XLT," he said. He now has a beautiful new maroon hoodie that fits perfectly, and I have a green hoodie that's a little stretched out and smells like diesel.